with WHO’S MISSING playing music appropriate to the festival weekend that’s in it..
All welcome … kids, family , friends , non-members ! 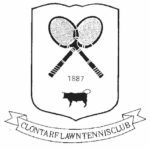 Congratulations to the suite of Clontarf Ladies league teams, and 1 Mens team, who made it to the DLTC Winter League semi finals this weekend ! Also huge congratulations to our “100% home grown” Peter Barun who won Under 14 National Spring Championships during the recent mid-term. Also further congratulations also to Sandra Moore for her recent call up to play in the Irish National team, in a upcoming international tennis event. Our recently elected President, Vincent Weldon, attended the recent Tennis Ireland, Leinster Branch AGM last week, and saw our own Maria Beatty elected to the 2018 Leinster Branch Commitee, along with long time Secretary of the Leinster Branch, Jimmy Cahill, ex-President and ex-Treasurer of CLTC. The Executive Committee wish to inform it’s members that we have recently completed a year long, extensive, strategic, root and branch review of club operations. The result is that some fundamental changes are required to how we structure the administration, operations, systems and finance functions of the club into the future. This will include the recruitment of a full time Operations Co-Ordinator, with more fluid working hours to better suit the availability of working members. It will also potentially include a part-time Club Manager who will oversee all functions within the club on a daily basis and act as a conduit to the Executive, thereby reducing the workload and expectation upon voluntary Executive Committee members, that have grown significantly as the club has so successfully developed over the years. It is with regret that as a consequence of the above structural change requirement, we are now informing members that Eithne Cairney’s role as Office Secretary with Clontarf LTC has become redundant. We would like to take this opportunity to thank Eithne for all her hard work, co-operation and endeavor over the time she has worked in CLTC. She will continue to enjoy being a member of CLTC and we look forward to seeing her around the club long into the future. Further details of the new roles envisaged will be communicated in due course.